We’ve all experienced it — advice or help given by well-meaning friends who haven’t really been listening to what we were saying. It is a greater tragedy when this is played out on a bigger scale — aid or development provided by well-meaning people who think they know what is best for another community. Yet for those of us with resources to share, it may not seem that easy to know how best to help. Add power difference and cross-cultural communication to the mix, and the potential for making a mess of things increases a hundred-fold. 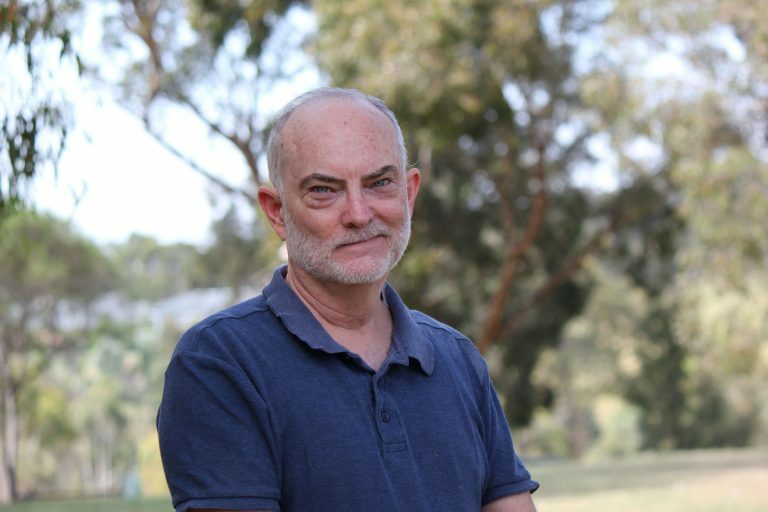 In this interview, Greg Conwell, CEO of the Wycliffe Relief and Development Foundation (WRDF)¹ shares how his personal journey has shaped his approach to community development, and how listening and relationship are integral to the ethos of the Foundation. Thanks for your time, Greg. Can you tell us briefly about yourself? Sure. Well, I trained in finance but then worked for many years with multinational companies in marketing, business development, logistics and finance. A bit of everything really. I did quite a lot of overseas travel as part of my corporate roles, so I guess that’s where I developed a strong interest in other cultures in general and community development specifically. 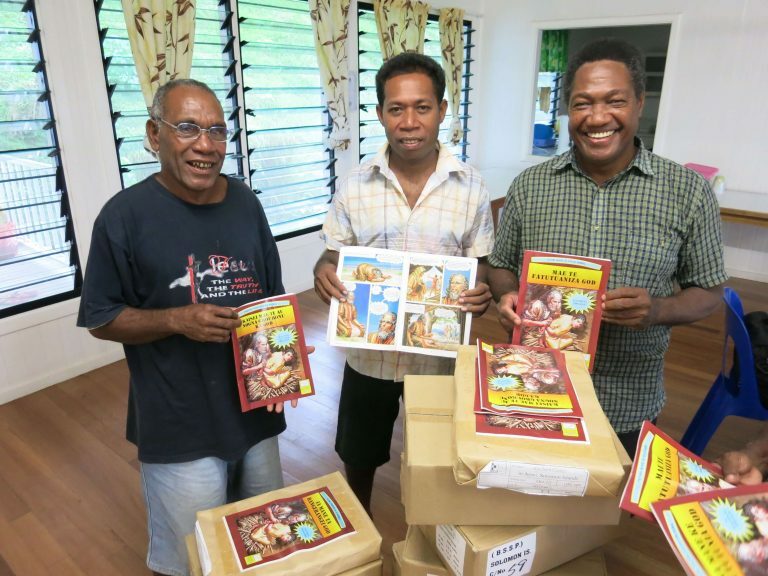 My wife and I joined Wycliffe in our late 40s and we have spent most of our Wycliffe career in the Solomon Islands working with local Bible translators and their national organisation. Now we are based in Melbourne, and I spend my time working with donors and those overseas that we can help in all sorts of practical ways. I assume that your experiences in the Solomon Islands and in other community development projects have had some influence on the ethos of WRDF? Well to start with, the ethos of WRDF is not just a result of my input. We have six board members who are passionate about helping others and I am part of a small staff who also love what we do. Under God’s tutelage, we are building this together. To answer your question, I had done some studies in community development before joining Wycliffe (and more since), but it is true that the Solomons was a good training ground. 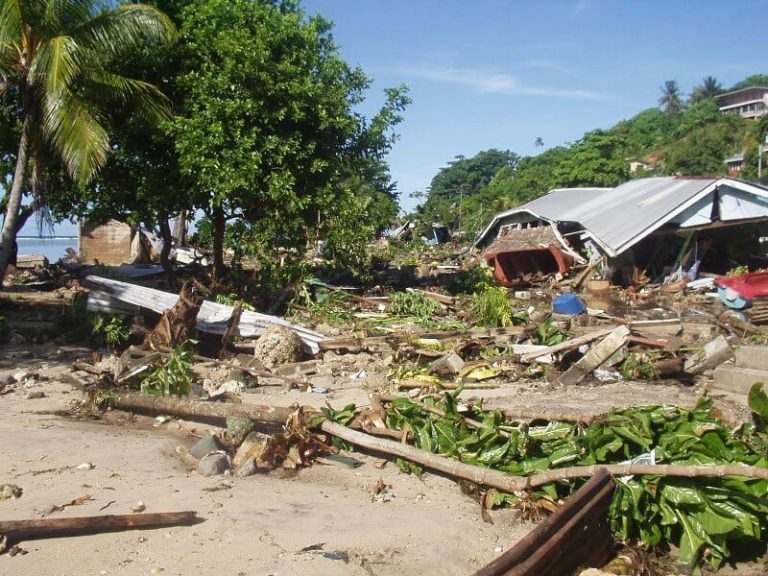 We had a major earthquake and tsunami shortly after we arrived that was devastating to much of the country. There has been a progression of floods and earthquakes ever since. We participated in disaster relief in a minor way, (and by the way, we would have loved to have WRDF alongside to help us facilitate). I have seen lots of examples of the good, the bad and the really ugly of how Westerners ‘do’ aid and development. And hopefully I’ve learned something along the way. The most important message that I hope I have learned is to listen well and not impose ‘our’ solutions. Whenever I do a presentation about WRDF I include a cartoon face of a person with a tiny mouth and enormous ears. That is my ideal aid and development person. I hope we really act like that, but we are all still learning. Some of Wycliffe’s supporters might be asking: There are many other relief and community development agencies out there. Why is Wycliffe re-inventing the wheel? Why not stick with Wycliffe’s core focus of translation and language development? That’s a good question, but there are also good answers. First, we don’t try to do what the large aid organisations of this world do. We don’t have a big staff and branches in all the places we work. We work with people and organisations on the ground that have been there for a long time and know what they are doing. We help them fulfil their vision and needs. We are not the delivery organisation. Hats off to those large aid organisations, they do what they do very well. But that’s not our space. Second, we work with people we know, people that we have a relationship with, and where we can try to really understand what’s behind their prayers and dreams. Third, a lot of the work we support is linguistically related anyway. More than half of our current projects are at least partly literacy projects. So that is helping the core of what Wycliffe Australia is all about. Fourth, and maybe the most important of all, is the thought that ‘how can we not help if we have the capacity?’ We are generally involved in these communities in some way already. How can we stand idle and watch them suffer or not reach their full potential if we are able to mobilise resources to help? If someone from your church home fellowship group couldn’t get to a meeting because they were literally starving, would you email them a copy of the notes and wait for the funeral? Of course not. Our faith and ‘works’ need to be in balance according to my understanding of Scripture. That message is for us as individuals, and for Wycliffe as an organisation. It is something that I believe down to my core. Finally, just to put some perspective on it, if our financial dreams for WRDF are fulfilled, we would still only be dealing with around 10% of the dollars that Wycliffe Australia currently receives for translation programs and member support. WRDF will always be the smaller brother and the main focus for Wycliffe overall will always be Bible translation and language development. A common thread is that most of these projects seem to organically spring from a relationship that someone already has with another person or organisation and this impacts on the type of questions being asked about whether or not Wycliffe should get involved. Sure, that’s true. For a start, we are likely to only hear about a need because of an existing relationship of some sort. We aren’t big enough that people come to us because of our reputation, although that may change over time I guess. Second, positive relationship brings trust. I guess there are less of the ‘can you really do this?’ type of questions if you know the capacity of the people you are dealing with. And third, if I am honest I think that relationship does create a sense of increased obligation. I think that is only natural. More of a sense of ‘What would it take to make this happen?’ than would be the case otherwise. We have to be a little careful about that. One of our guidelines is that we don’t generally help individuals, only communities, and we must of course, not discriminate based on religion, politics, gender or whatever. Is there a current project which might illustrate the impact of this relationship aspect on WRDF’s approach? I could use pretty much any project on our books, but the PNG cervical cancer project is one. Pretty much anyone who has worked with Wycliffe’s close partner, SIL PNG, has interacted with the clinic at Ukarumpa at some stage. The medical staff there wanted to reach out to the local community with a diagnostic and treatment service for cervical cancer. They would not have known about us if we were not linked into the SIL family, neither would they have had obvious other ways of getting funding. On the other hand, we know the staff well and know they have the capacity to get the job done. We also hoped that many people would be interested in supporting it because so many of our Wycliffe folk have served there and would be keen to support local PNG Highlanders. It was a project that the WRDF Board found easy to approve, and it was indeed well supported financially. It’s a great project because all the people needed to make it happen are already in place, as well as the infrastructure. Hearing about needs and struggles around the world daily can be quite disheartening. What keeps you going? I think that is a big issue for anyone involved in helping people, not just those in aid and development. You know the saying, no single teacher can educate everyone. But if we can see positive things happening where we are engaged, and if we know that we are doing a good job, not wasting donors’ money, listening well to the people we are serving, doing things that are appropriate and where possible having a lasting impact, then that’s all God asks of us. To do the best we can with what we have. If we didn’t try at all, that’s what I would call disheartening. Anyway, there are plenty of rewards around if you look out for them. 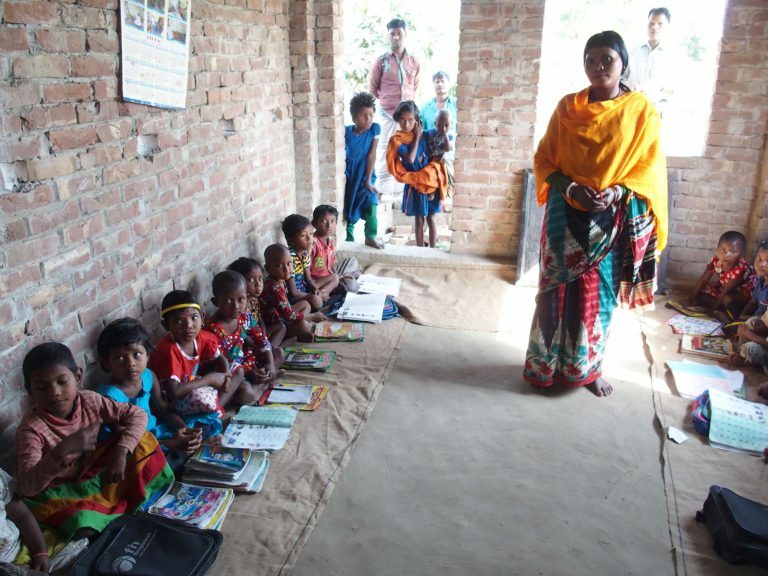 Smiling faces of children in school for the first time; the way people are blown away when they can start to read and write their own language; the relief of people having access to a building where the roof doesn’t leak. I think it is a wonderful privilege to be able to be so directly involved in this ministry. ¹ WRDF is a separate company that was registered by Wycliffe Australia in 2016 as a charity and a Public Benevolent Institution. It is fully owned by Wycliffe Australia but has its own Board and governance structure.